This is my favorite way to enjoy whisk(e)y. 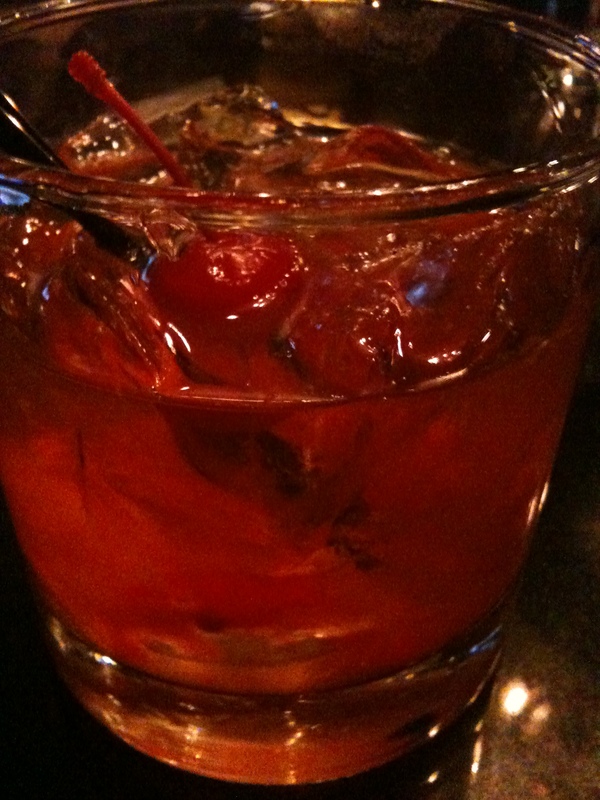 You may recall the brief discussion in the 5 Manly Drinks of the Old Fashioned but let us look a bit deeper today. 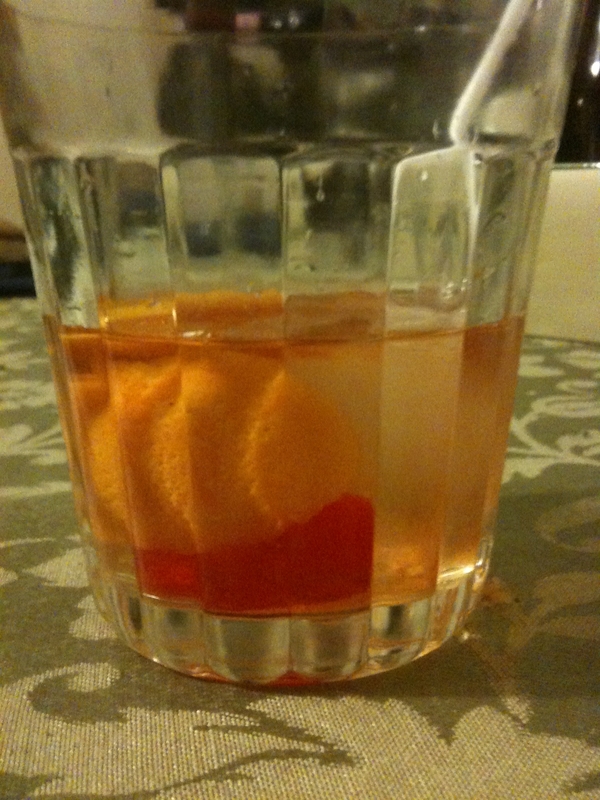 There may actually be more opinions and recipes for Old Fashioneds than there are even for Martinis. 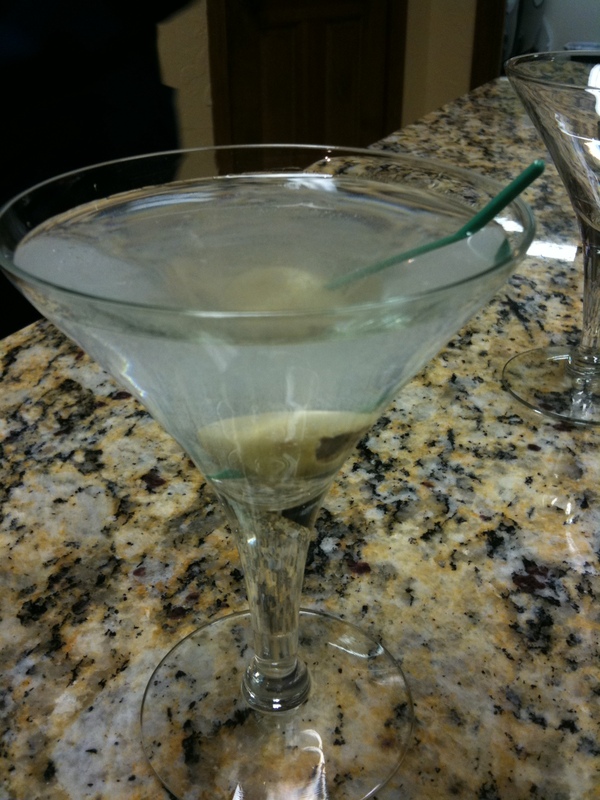 It is a glorious drink, brash where the Martini is sublime. I’ll give you what I think is the basic recipe and let you experiment and explore from there. 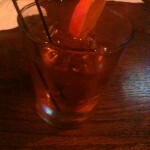 The Old Fashioned is based on a Whisk(e)y. Yes, you could use Dutch Genever, brandy, or something else, but let us restrict ourselves to the now traditional whisk(e)y concoction. Whisk(e)y is a complex beverage with layers and nuances of flavors. Except for the cheapest options, but let us assume you are working with at least a decent bottle. Look at the Old Fashioned as a way to illuminate or highlight the specifics of each different whisk(e)y. I know I’ve cited Imbibe before, but Wondrich makes the great point that at the Old Fashioned has over 200 years of history and may be the prototypical cocktail. See the Esquire link at the end of the article. Step 1. 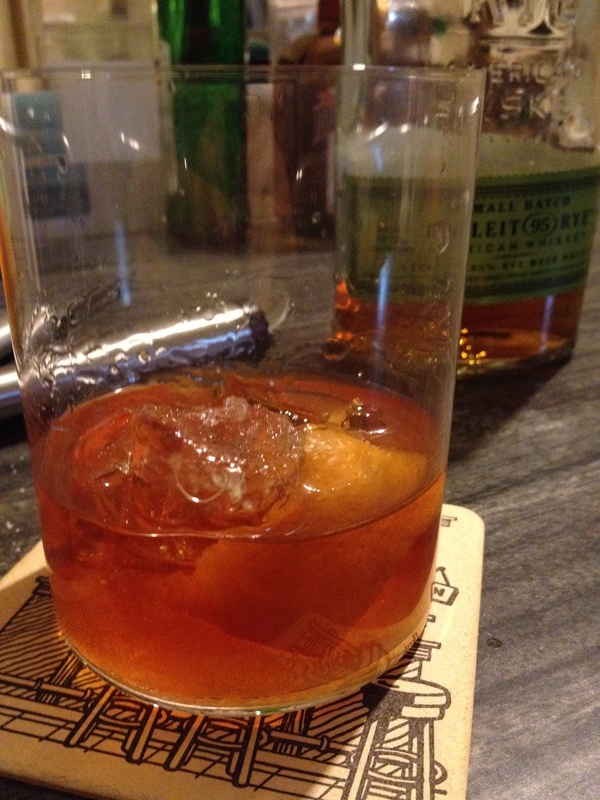 Start with an Old Fashioned Glass. A drink with such a history even has its own barware. Step 2. Add the sweet component. Either a sugar cube or a little bit of simple syrup. 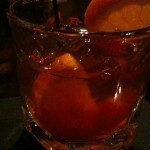 I like the simple syrup because it ensures that the sweet component will dissolve in the drink. Some purists will tell you that only a sugar cube is appropriate. As you gain the confidence, you might even consider honey or agave syrup. Step 3. Add some bitter. If you have used the sugar cube, wet it down with bitters. Remember bitters from our discussion of Manhattans? Add at least 3 dashes of bitters if not more. I usually hit about 5. Step 5. Add the Whisk(e)y. 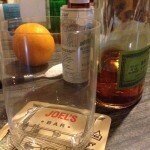 Bourbon is frequently used, but I find bourbons too sweet here. A straight whisky or rye is what I use most often. Step 6. Dilute. I think, at the very least, a splash of water is necessary in the Old fasFioned at this point. Some modern changes include using soda water or more than a splash; reserve attempting these variations until more confident in your Old Fashioned palette. 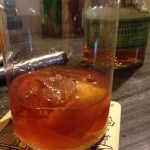 The Old Fashioned should taste strongly of your base whisk(e)y. Step 7. Add ice. One cube or chunk, as large as can comfortably fit in the glass around which you can drink. 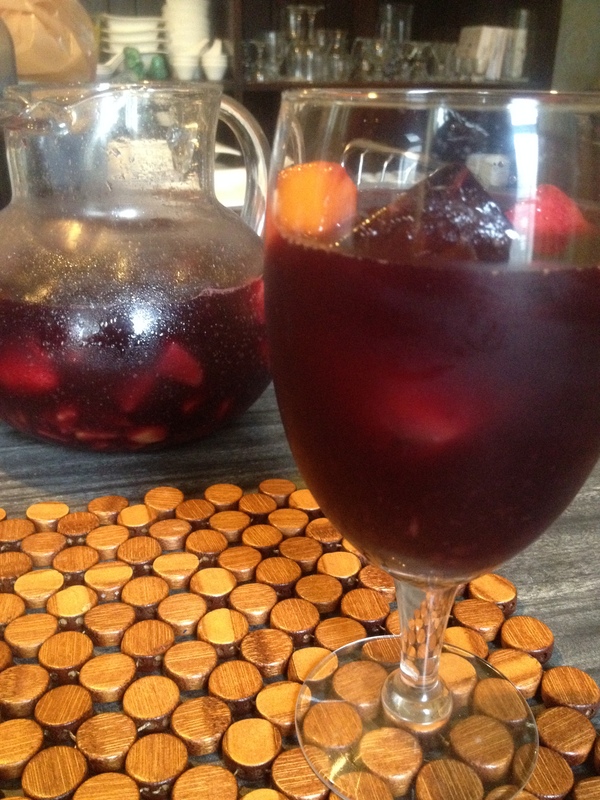 Some chilling is needed, but you don’t want the ice to melt too quickly. Step 8. Sip your drink. Pay attention to what notes come out of the whisk(e)y now You should be able to better detect the sweet, bitter, and sour notes that were already there, though subtle. 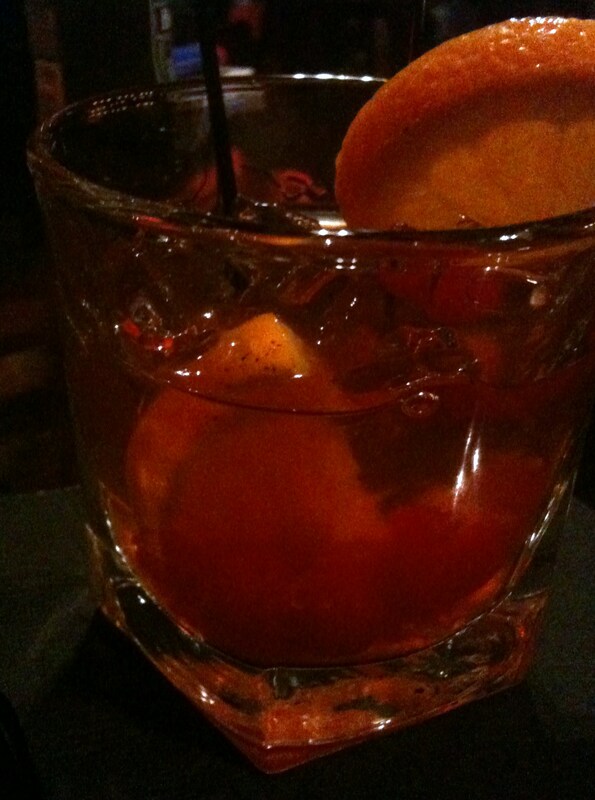 If you made your old fashioned well, you will be able to really enjoy the tastes of the whisk(e)y. If you think one of those additions predominates, you may need to find a different balance of components for your next Old Fashioned. As you can imagine, the variations almost write themselves. 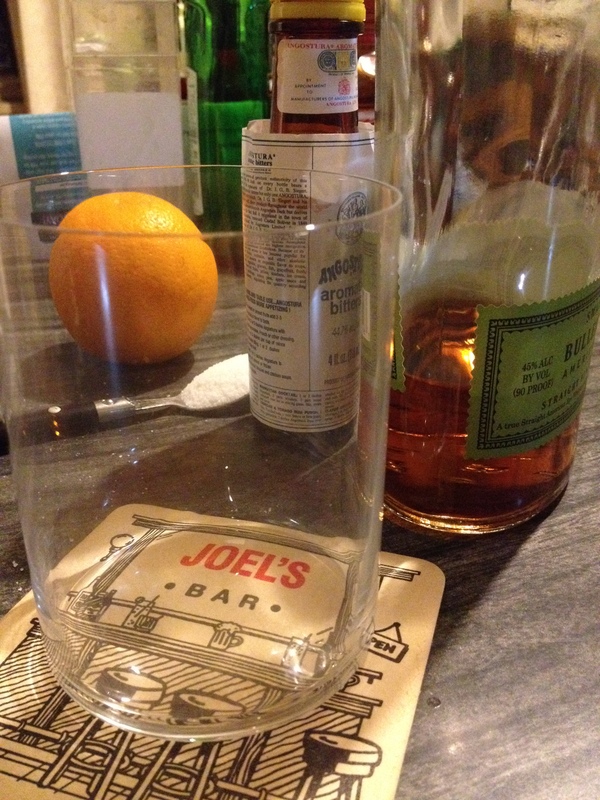 Every change in the underlying whisk(e)y will change the drink itself. Your choice of citrus can make a world of difference – one of my more interesting variations actually used a grapefruit peel. The bitters you use add different complexities depending on the ingredients of the bitters. Easy to experiment and play with in the comfort of your own home. 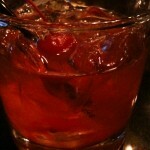 A rather long history and description of the Old Fashioned from Slate in November of 2011. Wondrich’s Version in Esquire Magazine From Years Back Before we could reliably get rye whisky across the nation again. Throw a few together if you are watching the Mad Men premiere and see how well they go down. 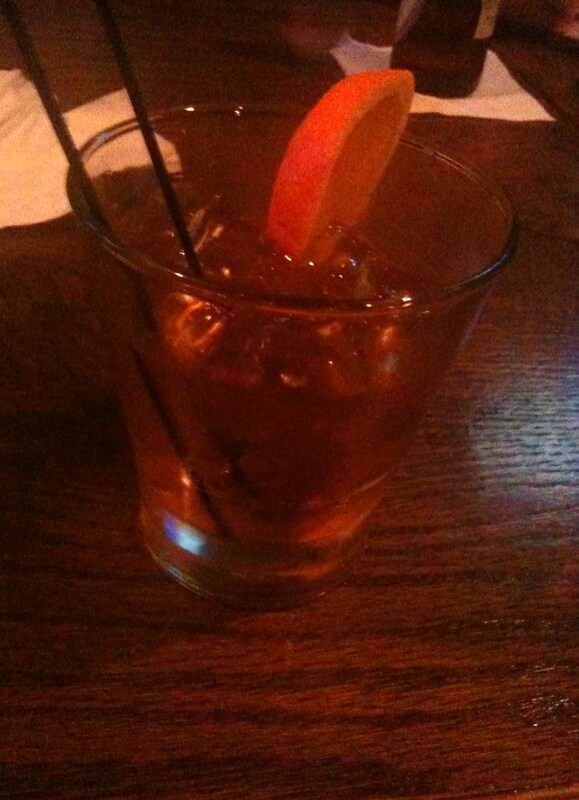 I love a well made Old Fashioned. As you build this cocktail in its glass, I don’t think it would need any more water than what you’ll get from the melting ice. Otherwise, your recipe sounds fantastic! When I am talking about a splash of water, I am looking at dipping my fingers in water and flicking that once, maybe twice, into the glass. I would say it might be half of a teaspoon worth of water. My real goal with that is to open up the aroma in the beginning and smooth some of the edges of the drink to start when using a cask strength spirit. 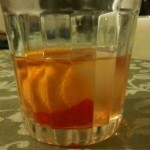 Another factor that may change that is whether an entire orange slice is muddled into the glass or not. If you muddle the whole slice, the juice from the orange is going to serve that same purpose where I was just going after a twist.